Bond Value Calculator: What It Should Be Trading At | Shows Work! This free online Bond Value Calculator will calculate the expected trading price of a bond given the par value, coupon rate, market rate, interest payments per year, and years-to-maturity. Plus, the calculated results will show the step-by-step solution to the bond valuation formula, as well as a chart showing the present values of the par value and each coupon payment. If you don't know the answer to the questions, "What are bonds? ", "How do you calculate the value of a bond? ", or "How do bonds work? ", be sure to visit the Yield to Maturity Calculator page that includes a basic definition of bonds and a brief explanation of how they work. Calculate the expected trading price of a bond. Enter the par value of the bond (only numeric characters 0-9 and a decimal point, no dollar sign or commas). Par value is also referred to as the face value. Enter the coupon rate of the bond (only numeric characters 0-9 and a decimal point, no percent sign). The coupon rate is the annual interest the bond pays. If a bond with a par value of $1,000 is paying you $80 per year, then the coupon rate would be 8% (80 ÷ 1000 = .08, or 8%). Select the compounding frequency of the coupon rate. Typically, the shorter the compounding interval, the more interest you will earn with all other factors remaining the same. While the effects of compounding are fairly insignificant for small investments, the effects can be very significant when investing a large sum of money. Enter the current market rate that a similar bond is selling for (only numeric characters 0-9 and a decimal point, no percent sign). If the current market rate is below the coupon rate, then the bond should be trading at a premium (price greater than the par value). Conversely, if the current market rate is above the coupon rate, then the bond should be selling at a discount (price less than par value). Enter the number of years remaining before the bond reaches its maturity date (whole numbers only). The maturity of a bond is the year the par or face value of the bond is returned to the bond holder. Given the face value, coupon rate, coupon compounding interval, years to maturity, and the current market rate, this is the price your bond would be trading at. In other words, this should be the price a buyer would be willing to pay to purchase your bond. Select the coupon rate compounding interval. Enter the current market rate that a similar bond is selling for. 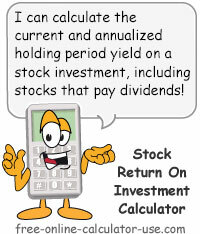 Click the "Calculate Bond Price" button. What bond valuation is and how to calculate the value of a bond. Bond valuation is a method used to determine the expected trading price of a bond. The expected trading price is calculated by adding the sum of the present values of all coupon payments to the present value of the par value (no worries, the bond value calculator performs all of the calculations for you, and shows its work). Since the value of a bond is equal to the sum of the present values of the par value and all of the coupon payments, we can use the Present Value of An Ordinary Annuity Formula to find the value of a bond. Suppose XYZ issues ten-year bonds (par value of $1,000.00) with an annual coupon rate of 10% and paying interest semi-annually. Similar 10-year bonds are paying 12% interest. What is the value of one of XYZ's new bonds? In other words, what should the price be? Since the price of bonds trend in the opposite direction of interest rates, the price an investor is willing to pay for bonds tends to decrease as interest rates rise, and increase as interest rates decline. If this sounds confusing to you, perhaps a simple example will help clear the air. To illustrate why bond prices and market interest rates tend to move in opposite directions, suppose you purchased a 5-year, $1,000 bond at face value that was paying a 7% coupon rate. Now, suppose market interest rates rise, thereby causing bonds similar to yours to offer, say, an 8% coupon rate. If you were looking to sell your 7% bond, you would need to discount the price of your bond to the point where the buyer would achieve the same total return being offered by the bond paying 8%. Using the bond valuation formula that's built into the bond value calculator, we can determine that an investor would need to be able to purchase your $1,000 bond for $960.07 in order to get the same total return as the one paying 8%. On the other hand, suppose market interest rates fall, thereby causing bonds similar to yours to offer only a 6% coupon rate. If you were looking to sell your 7% bond, your bond is obviously worth more than bonds paying only 6%. In this case, using the bond valuation formula we can see that an investor should be willing to purchase your $1,000 bond for $1,042.12, as that price would still net the investor the same total return as the one paying 6%. Those two examples should help to explain why interest rates have an inverse relationship with bond prices. And it's a good thing they have this inverse relationship. The underlying reason bond prices rise and fall is to bring the rates of older bonds into line with prevailing rates. Were it not for these price fluctuations there would be no liquidity in the bonds market and very few issuers. After all, no one would be willing to buy bonds at par value if the bonds were paying lower interest rates than the prevailing rates, and issuers would not issue bonds if doing so would cause them to pay a higher interest rate than if they were to borrow the money elsewhere. The more you use the bond value calculator, the more it should become clear that the effects that changing interest rates have on the price of a bond tend to become less and less the closer it gets to its maturity date. This is because the interest rate risk (risk of missing out on higher interest rates) decreases the closer bonds get to their maturity dates.